Warren Technology has provided electric heating equipment for more than 60 years. Warren offers custom duct and standard unitary slip-in heaters to meet electric heating specification and design requirements. 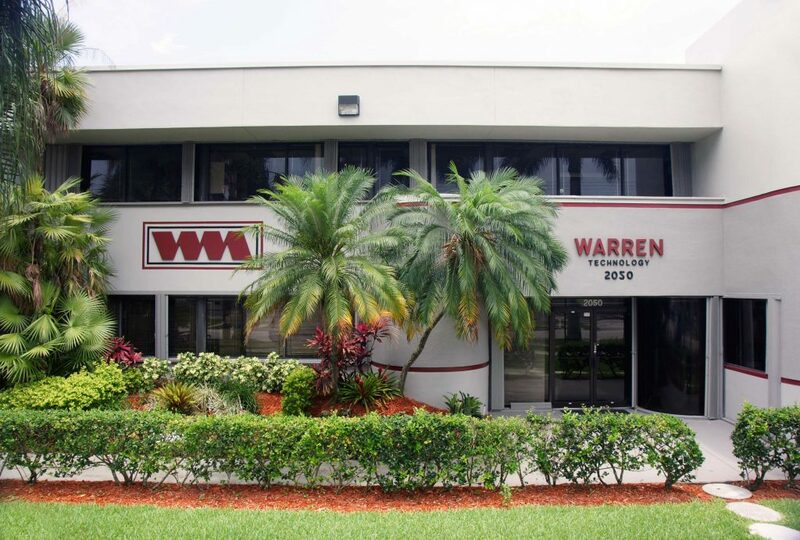 Incorporated in 1957 as a manufacturer of electric heaters, Warren Technology has assumed a leading role within the HVAC industry, designing, developing, and manufacturing a broad spectrum of precision heating, ventilation, and air-conditioning products. Warren was one of the first U.S. companies to integrate its flexible manufacturing computer-controlled machinery with its internally developed computer-aided design (CAD) to attain what is known today as computer-integrated manufacturing (CIM). This unique process enables Warren to develop, test, and fabricate products quickly in response to the changing needs of our customers. Warren Technology has proven to be ahead of its time by engineering products designed to meet the comfort needs of individuals. Through an extensive research and development program, Warren continues to make great strides in HVAC technology. Warren holds five U.S. patents and more than 15 foreign patents, with new products under development. By making the issues of health, comfort, and economy an integral part of our products, Warren Technology continues to lead the way by setting the standard for indoor environmental solutions. Warren’s electric duct heaters are specified for use in commercial comfort heating design applications by mechanical engineers. Independent manufacturers representatives buy and resell our heaters to mechanical contractors and end users in the HVAC marketplace. Electric Duct Heaters are also made available to heating and air conditioning contractors through HVAC equipment distributors and HVAC parts wholesalers. Warren’s unitary electric strip heaters are marketed to various O.E.M. Manufacturers and Distributors for use in specified residential and commercial air handling equipment. Warren’s heaters fit in all major brands of air handlers, fan coils, package units, etc. As Indoor Air Quality emerges as a critical concern, Warren has responded with a number of innovative products that are designed to increase room air circulation, aid in the removal of building contaminants, and vastly improve the quality of air inside commercial office buildings, schools, hospitals, restaurants, and retail establishments. Utilizing the most advanced technology available, Warren is providing building owners with solutions designed to meet the indoor environmental requirements demanded by today's building occupant. These systems are affordable and can be used in the design of new buildings or in the renovation of existing buildings. Sick Building Syndrome (SBS) or poor Indoor Air Quality (IAQ) is one of the most important issues facing our workplace today. Headaches, dizziness, fatigue, sore throats, allergies, watery eyes, and upper respiratory problems are often seen as the price that must be paid to work in a modern office building. SBS is thought to be responsible for up to 50% of all illnesses in the U.S. costing American businesses more than $60 billion annually in lost worker productivity, $15 billion in related health care costs and more than 150 million lost workdays each year. In most cases, the problem is directly related to inadequate ventilation – a deficiency of the HVAC system. To meet this IAQ challenge, Warren has developed innovative products like the patented Valid Air® high-performance diffuser. Utilizing a unique dimple jet design, Valid Air diffusers significantly improve indoor air circulation and eliminate stagnant air pockets that contribute to Sick Building Syndrome and poor Indoor Air Quality. The most frequent complaint from building occupants is that they are either “too hot" or “too cold." HVAC equipment noise has also contributed to complaints of discomfort. Warren has responded with the UNI•VAV ® individual room comfort system. Its key component, the Leopard Intellivent® personal VAV diffuser, is a self-contained ceiling air vent, with a built-in VAV device and thermostat. The Intellivent is designed to constantly monitor and regulate airflow to maintain the desired personal room temperature. By providing individual room temperature control with the Leopard Intellivent, personal comfort is maintained, productivity is increased, and energy savings are realized. Quiet Plus® terminals can reduce the noise levels associated with typical mechanical air-conditioning systems to provide a quieter, more productive indoor environment. Providing a comfortable work environment directly affects the productivity of the people who work there. If employees are uncomfortable, productivity will falter. In today's competitive business environment, every wasted minute equates to lost profits. Studies have shown that an average productivity gain of up to 18% can be attained when employees are satisfied with the environment in their individual workspaces (Building Owners and Managers Association). Both the Valid Air and Leopard Intellivent utilize a unique, patented multi-directional air diffuser that will distribute air evenly throughout the occupied room to provide consistent, equal temperature levels, and prevent cold air dumping and downdrafts. Employee comfort complaints are virtually eliminated leading to a more productive work environment. Owners of commercial and institutional buildings can enjoy substantial energy savings by upgrading their existing air-conditioning systems with any of Warren's energy-efficient products. Each of Warren's air distribution product lines can help reduce operating costs and provide additional energy savings and efficiency in most HVAC systems. Warren's electric heating product line includes products such as Stock-Line, Quicksilver, and CBK custom built electric duct heaters, as well as Unitary electric heaters for use in original equipment manufacturers' residential and commercial air-conditioning systems. The existing air distribution product line includes: Valid Air high-performance diffusers, Leopard Intellivent personal VAV diffusers, Quiet Plus VAV terminal units, and Zebra ® precision air valves.